History of Memorial Day: Three years after the Civil War ended, on May 5, 1868, the head of an organization of Union veterans — the Grand Army of the Republic (GAR) — established Decoration Day as a time for the nation to decorate the graves of the war dead with flowers. May 30th was chosen for Decoration Day because it was believed that flowers would be in bloom all across the country. On Memorial Day the flag should be flown at half-staff from sunrise until noon only, then raised briskly to the top of the staff until sunset, in honor of the nation’s battle heroes. In the early days of our country, no regulations existed for flying the flag at half-staff and, as a result, there were many conflicting policies. But on March 1, 1954, President Dwight Eisenhower issued a proclamation on the proper times. You will notice in the collage above, that the flag is flying at half-staff. Those pictures were taken during our visit to the American Cemetary in Normandy, France. It was very moving seeing row after row of graves. For more pictures from our visit to Normandy, see my previous posts on the topic and also our cruise vacations website. I've mentioned several times in the past about the opportunity to relive history while on a cruise vacation. This is especially true in Europe due to the large battle field from the World Wars. 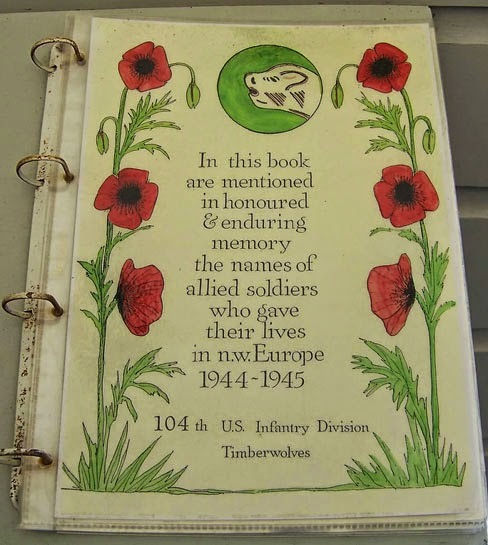 Whether your cruise vacation takes you to Normandy, France or Honolulu, Hawaii, please take some time to visit a historical site and pay your respects to the troops that fought to keep America strong. 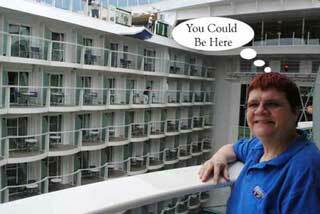 We have done so on several cruises and of all the trips we've taken, those tend to stand out in my mind. Don't forget to bring you children with you so that they too can learn about war first hand. 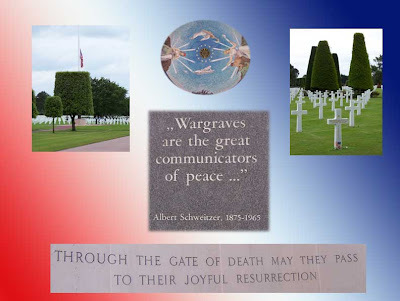 As Albert Schweitzer said "... Wargraves are the great communicators of peace ..." Perhaps another more striking quote was by George Santayanan who said "Those who cannot learn from history are doomed to repeat it." And who can forget those immortal words of President John F. Kennedy: "And so, my fellow Americans: ask not what your country can do for you - ask what you can do for your country. My fellow citizens of the world: ask not what America will do for you, but what together we can do for the freedom of man. " To the brave men and women, living and deceased, who have taken President Kennedy's charge to heart, Thank You for your Service. May we never forget the sacrifices you have made. We've already provided you with Colorado State University's April Prediction for the Atlantic Basin. NOAA has just released its predictions for the Atlantic Basin, Central and East Pacific regions. NOAA's Climate Prediction Center (CPC) had predicted an below-normal season which is what actually resulted. The 2015 Atlantic hurricane season was a below average Atlantic hurricane season that produced eleven named storms, four hurricanes and two major hurricanes. In the chart below, the numbers in parenthesis are the averages, so you can easily see that the 2015 Atlantic Hurricane Season was slightly below average. The 2015 Eastern Northern Pacific Hurricane Season was well above average with the number of named storms more than double the average. Hurricanes exceeded the top estimate, and there were 10 major hurricanes. The Accumulated Cyclone Energy (ACE) was well above normal. The Central Pacific was also active with 8 tropical storms with 3 hurricanes, of which 1 was a major storm. As is customary, the Colorado State University releases its predictions in December and April. 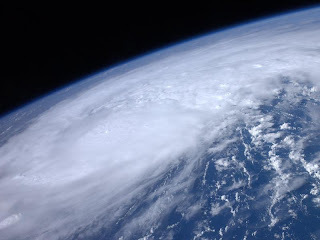 See our blog post, 2016 CSU Atlantic Hurricane Prediction, for their 2016 predictions. 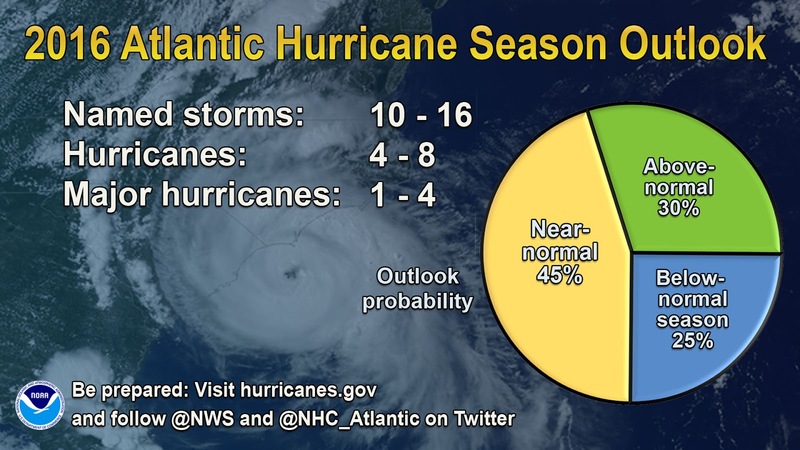 NOAA’s 2016 Atlantic Hurricane Season Outlook calls for a 45% chance of a near-normal season, a 30% chance of an above-normal season, and a 25% chance of a below-normal season. 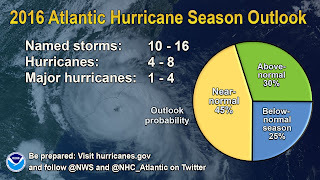 For the six-month hurricane season, which begins June 1, NOAA predicts a 70 percent likelihood of 10 to 16 named storms (winds of 39 mph or higher), of which 4 to 8 could become hurricanes (winds of 74 mph or higher), including 1 to 4 major hurricanes (Category 3, 4 or 5; winds of 111 mph or higher). NOAA’s 2015 Eastern Pacific Hurricane Season Outlook is calling for a 70 percent chance of 15 to 22 named storms, which includes 7 to 12 hurricanes, of which 5 to 8 are expected to become major hurricanes (Category 3, 4 or 5 on the Saffir-Simpson Hurricane Wind Scale). The outlook calls for a 70% chance of an above-normal season, a 25% chance of a near-normal season, and only a 5% chance of a below normal season. An important measure of the total overall seasonal activity is the NOAA Accumulated Cyclone Energy (ACE) index, which accounts for the intensity and duration of named storms and hurricanes during the season. According to NOAA’s hurricane season classifications, an ACE value above 117% of the 1950-2000 median reflects an above-normal season. An ACE value above 175% of the median reflects an exceptionally active (or hyperactive) season. Hurricane season in the Atlantic begins June 1st and ends November 30th. The Eastern Pacific hurricane season begins May 15th and also ends November 30th. Hurricane Preparedness Week came early this year. 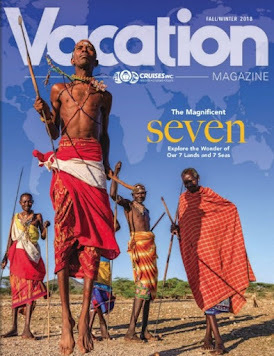 As usual we published a series of articles during that week. Click on the image or link to the right to view the entire series. We have been covering hurricane preparedness for years, so if you still need more information, you can check out some of our other articles which can be found via links in our Hurricane Zone page. 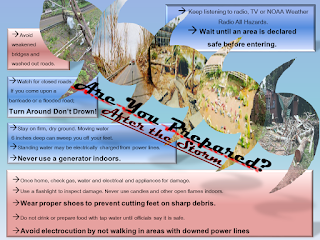 We are reminded about some disturbing news, published by the American Red Cross, about how Despite Sandy’s Damage, U.S. Coastal Residents Still Unprepared. How do you like your burger? 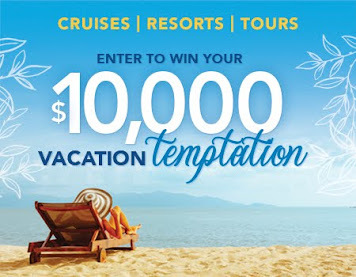 On Carnival Cruise Lines, if you are on a ship that has gone through Fun Ship 2.0 upgrades, like Carnival Conquest or Carnival Breeze to name a couple, you can grab lunch from Guy's Burger Joint, the cool poolside spot for hot burgers and hand-cut fries. If you watch cable TV, you know who "Guy" is ... Guy Fieri entered into an agreement with Carnival Corporation to introduce his burgers at sea. You can select from the Plain Jane or several common options. Why not customize your burger by adding your favorite toppings at the Toppings Bar? This is a fun place to enjoy National Beef Day or any day. 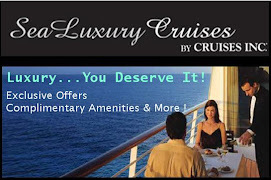 The best news - it is included in your dining options at no additional cost. 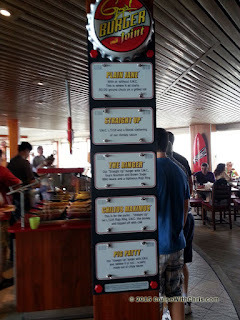 Many cruise lines have "burger bars" poolside as well as in their buffets. Do you have a different favorite? 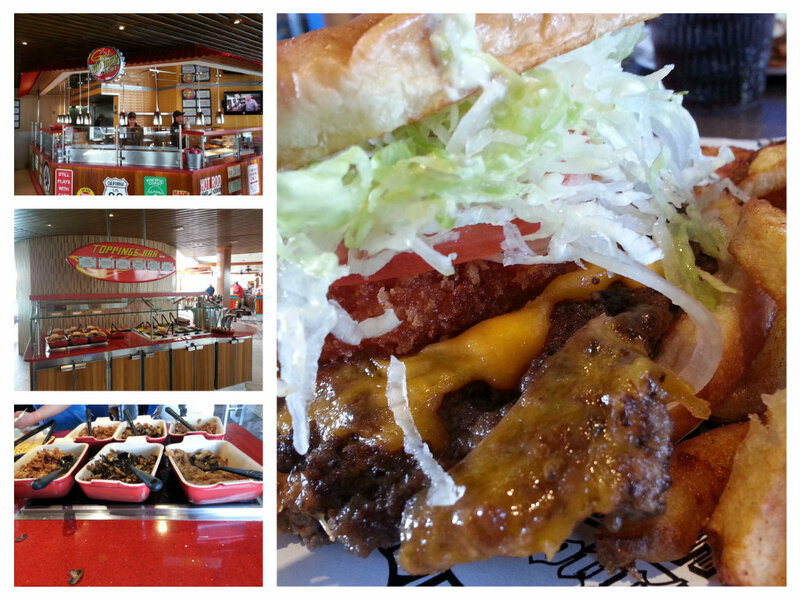 We'd love to hear from you about what you think is the best burger at sea. Sat. Sun. Mon. Tue. Wed. Thu. Fri. Approximately 500 people drown each year from recreational boating accidents, so we've teamed up with NOAA and the National Safe Boating Council to remind you to "Wear It!" when you are on the water. Here are some links for you to learn additional information about boating safety. 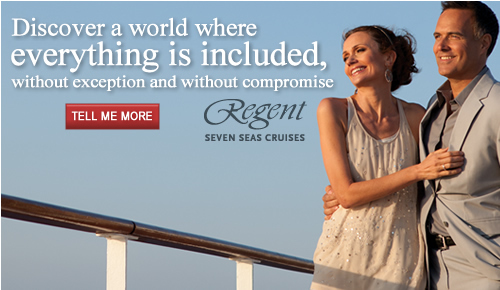 Safety is a primary concern in the cruise industry. One of the first things you'll do once you are onboard the ship is a mandatory safety drill which includes locating your life jackets and proceeding to a muster station for further instructions. When you put your life jacket back away in your stateroom, that doesn't mean you forget about safety for the rest of the cruise. Instead, that is the start of paying attention to safety. 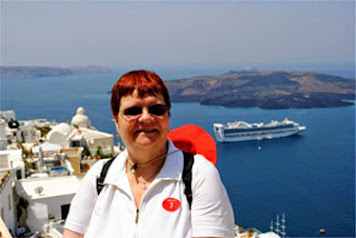 You may participate in some shore excursions that include water sports, sailing on small boats, etc. Be sure to wear your life jacket during these excursions. 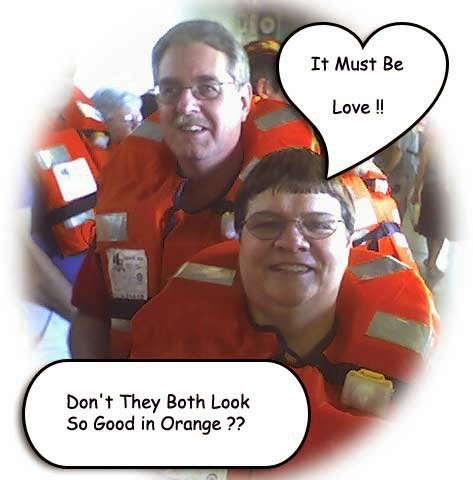 We thought it would be fun to post some of your pictures in life jacket attire, so we've started a Safe Boating Photo Album on Facebook that you can add your pics to. Even if you don't send us one of your pics, check out the photos that are posted. 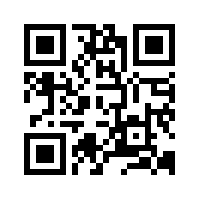 You can also share your pics via Twitter. We conclude our coverage of the 2016 Hurricane Preparedness Week by looking at recovering from the storm. 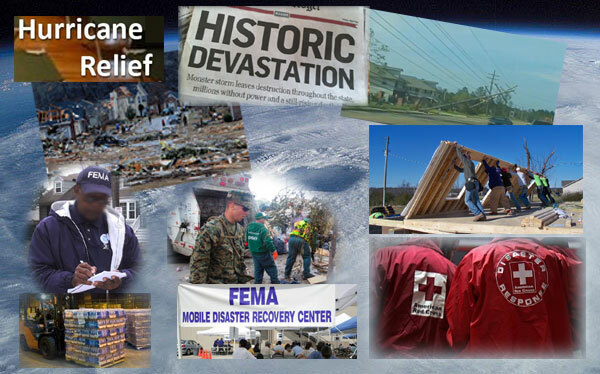 Three organizations come to mind when you think about the aftermath of a hurricane or other natural disaster: FEMA, Red Cross, and the National Guard. There are many other organizations and individuals that also play a key role in providing immediate and long-term assistance to those impacted by the hazards of hurricanes and other natural disasters. Even with all the scientific advances in recent years, it is still impossible to predict how many storms will occur in a given year and what communities lie in their path. Just like in sports, the best defense is a good offense. In this case, Hurricane Preparedness is that secret play that can make the difference in loss of property and lives. It is for that reason that we have participated with NOAA, FEMA and other organizations in sharing these public service announcements. We have been covering hurricane preparedness for years, so if you still need more information, you can check out some of our other articles which can be found via links in our Hurricane Zone page. An infographic on the survey findings can be viewed here. 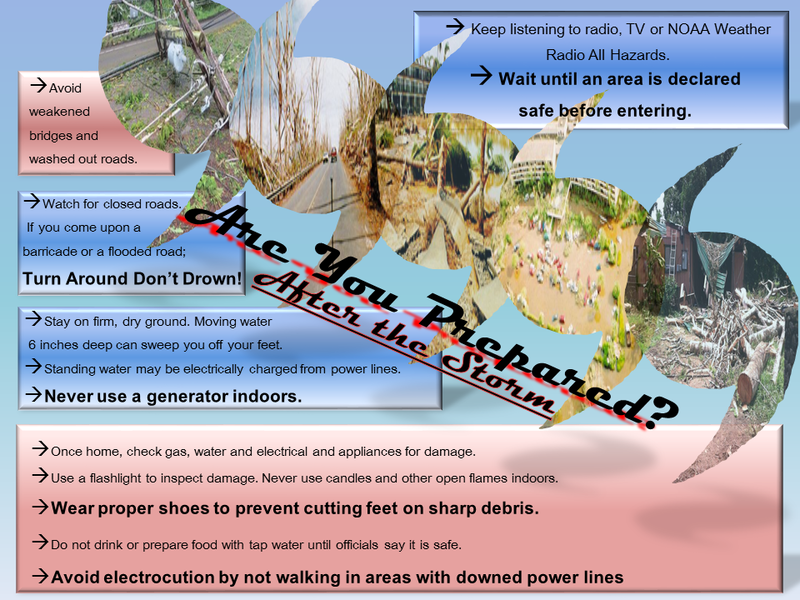 Our final article will take a look at what to do after the storm. Thank you for taking this seriously. More links and information about tropical storms and other weather conditions can be found in the Weather & Hurricane Zone tabs above. TV, web, social media - only use trusted sources for the latest hurricane information! NOAA's National Hurricane Center is your official source for Atlantic hurricane forecasts and the issuance of hurricane watches and warnings. In addition, your local NOAA National Weather Service forecast office provides information regarding the expected impacts from the storm for your area. We continue our coverage of the 2016 Hurricane Preparedness Week by looking at the tropical weather forecasting process. A new hurricane forecast cycle begins. Receive the location of the center of the hurricane. Receive model guidance and prepare a new hurricane forecast. Coordinate with National Weather Service and Dept. of Defense. Issue the full hurricane advisory package. Participate in the Federal Emergency Management Agency (FEMA) conference call with the affected states. When a Watch or a Warning is issued, intermediate advisories are initiated. Part of the mission of the National Weather Service (NWS) Tropical Prediction Center (TPC) is to save lives and protect property by issuing watches, warnings, forecasts, and analyses of hazardous weather conditions in the tropics. This section provides information about the roles of those responsible for providing hurricane information to emergency managers and decision makers. The TPC is comprised of the National Hurricane Center (NHC), the Tropical Analysis and Forecast Branch (TAFB), and the Technical Support Branch (TSB). During hurricane season, the latter two provide support to the NHC. The local NWS Weather Forecast Offices (WFOs) in hurricane-prone areas are also important participants in the forecast process. 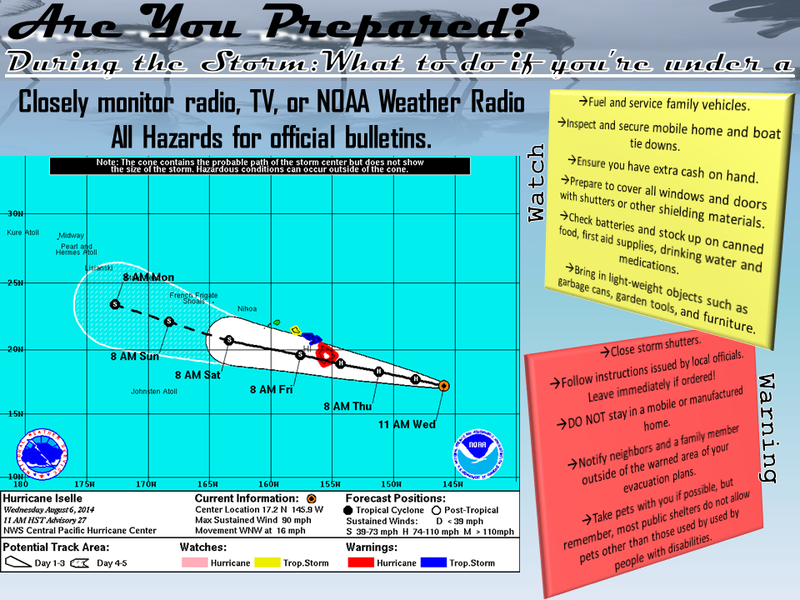 Observations including satellites, buoys, reconnaissance aircraft, and radar are the basis for all forecast and warning products issued by the NHC. Quality, quantity, and timeliness of remote sensing observations are critical for accurate and timely forecasts and warnings. The various observations are checked for quality, analyzed, and put into a suite of computer models. The computer models take in the observations and perform millions of calculations to generate predictions of hurricane behavior and the general conditions of the atmosphere in which the hurricane is embedded. The model results are packaged as guidance for the appropriate national centers and local offices and for evaluation and use in the NWS's forecast and warning process. Forecasts and warnings are coordinated between the national centers and local forecast offices to provide consistency, which is critical during severe weather episodes. The Florida Division of Emergency Management has an excellent Hurricane Retrofit Guide (Tutorial) to help you get you house ready for the approaching hurricane season. Whether you are handy or not, this tutorial has information to help you prepare. The nonprofit Federal Alliance for Safe Homes (FLASH®) is the country’s leading consumer advocate for strengthening homes and safeguarding families from natural and manmade disasters. 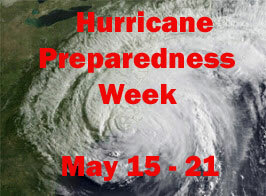 Their website has several resources to help you prepare for hurricanes and other threats. Forecasters at the Colorado State University are predicting that the 2016 Atlantic basin hurricane season will have average activity. The season begins June 1st and continues through November 30th. Their current (April 14th) forecast predicts near-average probability for major hurricanes making landfall along the United States coastline and in the Caribbean. It is impossible to precisely predict this season’s hurricane activity in early April. NOAA won't even make their first prediction until the end of May. So, why does Colorado State University's team of scientists create this forecast? Mainly because the public is curious about predictions based on the current global oceanic and atmospheric conditions. The forecasting team created their predictions using a statistical model based on 29 years worth of data. According to CSU scientists, "The current weakening El Niño is likely to transition to either neutral or La Niña conditions by the peak of the Atlantic hurricane season. While the tropical Atlantic is relatively warm, the far North Atlantic is quite cold, potentially indicative of a negative phase of the Atlantic Multi-Decadal Oscillation." Coastal residents are reminded that it only takes one hurricane making landfall to make it an active season for them, and they need to prepare the same for every season, regardless of how much or how little activity is predicted. The April forecast calls for 12 named tropical storms with 5 strengthening to hurricane status. Of those hurricanes, 2 are predicted to be a major hurricane (Category 3,4, or 5). The team forecasts a 50% chance of one major hurricane making landfall on the U.S. coastline (compared to 52% for last century), 30% for U.S. East Coast Including Peninsula Florida (average for last century is 31%), 29% for Gulf Coast from the Florida Panhandle westward to Brownsville (average for last century is 30%) and a 40% chance for the Caribbean (compared to 42% average for last century). Another reason why Colorado State University publishes forecasts is for hurricane preparedness. We too are publishing this information, along with updates throughout hurricane season, to help protect life and property when danger approaches. As I've said many times, the cruise line industry has safety of passengers, crew, and vessels as their number one priority. The cruise lines work closely with the NHC and other agencies to monitor all sorts of weather conditions, including tropical storms. 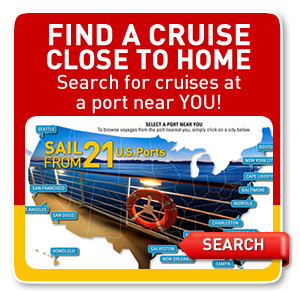 The ships may alter courses and cancel ports of call in order to maintain the level of safety for all onboard. We will keep you posted about any known itinerary changes during hurricane season. Should your cruise itinerary change due to a tropical storm, don't be upset, but rather thank the Captain and crew for taking you out of harm's way.